Founded in 1990 by Dr. Buch, the Vascular Center continues to be at the forefront of vascular diagnostics and intervention. This is fueled in part by our reputation in delivering excellence in patient care combined with only state-of-the-art diagnostic equipment used in our vascular laboratory. 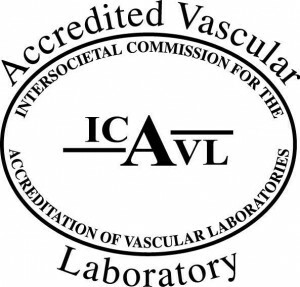 Moreover, we remain among Central Jersey’s few vascular laboratories to have earned full accreditation of the Intersocietal Commission for the Accreditation of Vascular Laboratories (ICAVL). Laser Doppler to assess wound healing potential. Raynaud’s disease testing – is a condition that causes some areas of your body — such as your fingers, toes, the tip of your nose and your ears — to feel numb and cool in response to cold temperatures or stress. Central Jersey Surgeons Vascular Center is open Mondays through Fridays, from 9 am to 5 pm. For more information about testing or to schedule your test appointment, call Cynthia Cannon; BS BA, RVT at (908) 722-0030, ext. 207.